With so many banks vying for customer attention, many banks have stepped up by offering irresistible features and promotions on their credit cards. 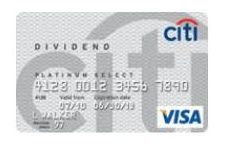 As of today, Citi Bank’s Dividend Platinum Select VISA credit card is one of the most famous cards in the market. So cards exactly makes the Citi Dividend Platinum Select VISA card different from other cards? Here is a quick view. With the Citi Dividend Platinum Select VISA credit card, owners can enjoy a zero annual fee. Aside from that, individuals can enjoy easy installment on any major purchase because of the 0% introductory APR that’s available for as long as the first 12 months. A variable rate of 12.99-22.99% will be applied after the 12 month period depending on credit worthiness. A 0% introductory annual percentage rate is also applied with the balance transfers for 12 months and after that the APR will then be the same as the purchase APR. The balance transfer fees will be $5 or the usual is 3% of the transferred amount. Aside from great rates, the rewards of the Citi Dividend Platinum Select VISA credit card are also quite exciting. When the account owner will spend $500 during the first three months, he or she will be rewarded with $150. There will also be 5% cash back on car rental and airline purchases. And a 1% cash back on all other purchases using the credit card. With these rewards, credit card owners can truly enjoy spending with their credit card. People always want the most convenient means of paying for especially when it comes to bills, clothing, and food. There are many things to pay for in this modern world and thus many people would prefer to use credit cards instead of cash. Since most establishments today accept credit cards, this piece of plastic has gone a long way in replacing the use of hard cash. This is then the reason why banks offer different credit cards for people to get and apply for. 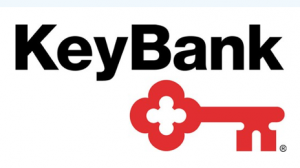 One of the banks that have good credit card offerings is Key Bank. 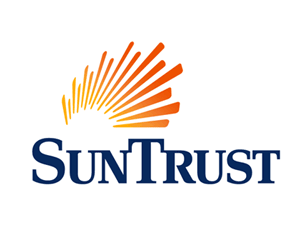 This is a Cleveland based company that is also known to be one of the largest banks in the nation. Some of the services they offer are related with commercial and investment banking as well as consumer finance. One of the services they offer is their World Master Credit Card. Key Bank’s World Master credit card offers safety and convenience to its owners or holders. They can simply bring this anywhere they go and use it anytime they want to. Some of the features of this card includes a no annual fee which means less expenses at the start of the year. The introductory APR is 0%. This is accounted for the first 6 cycles of billing and after these cycles, the APR will be variable from 9.99%- 20.99%. The APR will be based on the credit worthiness of the credit card holder. On the other hand, in terms of interest for the purchases, the due date for those who will be using it is 24-30 days after the closing of billing cycle, giving enough time for those who are eager to keep up with their payments. Aside from the no annual fee, 2,500 points worth of bonuses will be redeemable to an amount of $25. With these benefits and features, the World Master Credit Card from Key Bank is one to beat. Sovereign Bank is a major bank in the United States that offers a lot of financial services for their clients. 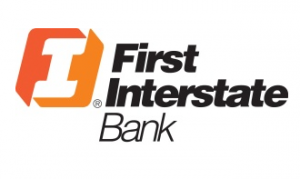 They are one of the largest banks in the Northeastern part of the USA. Their services include corporate banking, retail, business, insurance, and many more. Those who are interested to apply for loans and mortgages can potentially find what they need at Sovereign Bank. Aside from savings, investments and loans, Sovereign Bank also offers a competitive credit card that may just suit your needs. What makes the Sovereign Sphere World reward credit card different? Those who will be getting one will have round the clock protection against fraud. They will also have 24 hour online access and service once their cards will be activated. And most importantly, a low introductory offer for its APR, making it easier for new card holders to pay off any credit card balances. Other than that, Sovereign Sphere world has no annual fee and you can also feel free to choose your own payment date. This is a perk that not many credit card companies offer. In terms of rewards, one point will be awarded for every single dollar spent on purchases. The owner will then select whether he or she will choose between the cash backs, travel, or gift cards rewards. The credit card holder will be the one to decide which rewards he or she wants. If he or she loves to travel then he or she can definitely pick the travel rewards. What’s great about this card is that there is no limit to the number of points you can earn. There are also no travel black out dates so you can travel at any time that you like. Whatever your needs are, this Soviet Sphere World rewards card may just give it to you. Credit cards have become a necessity for almost everyone. It makes shopping and purchasing goods so much easier and it allows easier online shopping. Even those who are still young are being exposed to credit cards since this makes it is easier for their parents to track down their financial records with of course given the limit to how much they can use and spend. Many people prefer the use of credit cards because they can bring and use this anywhere they want. One of the better credit cards offered today is Citadel’s Gold Master Credit Card. Citadel is a known credit union that is also a non-profit organization. This company or union provides customer financial services and products that will help people with financial problems and needs. The Gold Master Credit Card is a common choice with an introductory APR of 2.99% for the first six months and with a regular rate of a low 7.24%. It has no annual fees and there are also no fees for balance transfers. Citadel can also offer a generous credit limit for those who are deserving. Another fact why the Citadel credit card is a good choice for many is that a 25 Day Grace period is offered to those who will be opening a credit card account. It also is very safe to use for internet shopping. And with this credit card, a travel accident insurance of $400,000 is also offered. Through this credit card, owners can expect the best features. If you want a new credit card who is not so strict with deadlines, then Citadel’s Gold Master Credit Card is the right one for you. It’s always amazing to see people who actually do what they say. In terms of banking services, Applied Bank will never fail you in the promises of their offers. For those who are looking for a way out of a bad credit, they may find solution when they sign up for the Platinum Zero credit card. It highlights a stop in the payment of interest rates, a helpful feature to those who are trying to set up a good record. Applied Bank calls it the card Platinum Zero because of the non-charging for interest rates in purchases, even if you should make late payments. It also refers to the fact that anyone who applies for this type of credit card does not have to pay any fees during application – it’s absolutely free. However, there is a drawback to this. The maintenance fee for the card comes every month instead of annual payments. A fee of $9.95 is to paid, and if you add this up this will result to a yearly payment of $119.0. This amount seems more than what other banks are asking for, so in this case, a short term rebuilding of credit is most ideal for the cardholder. The minimum assigned credit limit is $500 and the maximum is up to $5,000. Timely monthly reportings to major credit bureaus ensure that your account is being watched over. This will also prevent the cardholder form making discrepancies in making payments. You can get an additional card as extension of the use of your account. For this, a fee of $30 must be paid. There is no fee for making balance transfers, but foreign transactions will strip you off 1% in US dollars as fee. As for cash advances, the fee is based on whichever greater amount is valued at. This is either $5 or 5% of the total cash advance made. The APR for each cash advance is at a fixed rate of 9.99%. Applied Bank is headquartered in Delaware. Since 1996, it has been providing financial support and assistance to residents of the state. This commitment to community service is manifested through their many efforts aimed at literacy, housing, and job opportunities. These programs and campaigns highlight their mission to become partners with the community and its people. Spending money has never been this rewarding. American Express has come up with the Starwood Preferred credit card that makes the most of your luxurious lifestyle by letting you earn rewards with every hotel stay and use you make. Your string of bonus points starts when you apply and open an account for Starwood Preferred credit card. Initially, you get at least 10,000 star points when you make a purchase at any of their affiliated companies. You can also get the chance to earn even up to 25,00 bonus points when, in the period of the first 6 months of application, you can spend $5,000. Once you’ve accumulated the bonus points, you can use these to avail free flights to destinations of affiliated hotels. Booking those flights prove to be no problem as well because of the no-blackout days especially catered just for you. As for hotel privileges, you use can use these accumulated points to get some R and R at some of the biggest and luxurious names in hotels, located all across the globe. Think W Hotels, Sheraton, or even St. Regis. If all these aren’t fancy enough for you, then try booking a 5-night stay at any participating resort in the French Polynesia or Hawaii. Your fifth night is for free, with a resort credit of up to $100. The more you spend on the facilities of these resorts and hotels, the more you earn points. And with more points come greater rewards – truly an amazing way for you to keep enjoying the uptown life. Other exclusive benefits include a late check-out time of 4 p.m. and upgrades to rooms. You are also automatically enrolled in the SPG, or Starwood Preferred Guest Program that allows you to enjoy even more benefits. This includes deals on entertainment, shopping, and Broadway shows – all with just one card. The Starwood Preferred credit card does not require an annual fee for your first year of application. After this grace period, a yearly fee of $65 is a must. Its APR rate may prove to be higher in comparison to the minimum APR of 13.0% these days, but its figures are variable, depending on the market economy. As of this writing, the APR is fixed at 15.24% to 19.25%. If you open an Starwood preferred card now, you can enjoy the high-life with just a swipes of your card. American Express is known to cater people with different financial backgrounds for decades. Today, it is a widely trusted name in card issuer, making it able to build strong loyalty with its customers. Rewards cards are surely an abundant thing, what with every credit card company and bank vying for your attention. However, it seems that Capital One’s Cash Credit Card has some pretty awesome quirks that may just make you seal the deal. 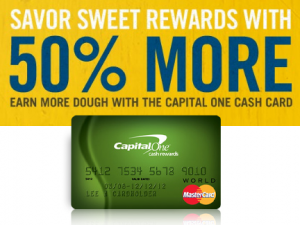 This card from Capital One is giving away a 50% additional bonus on the cash back that you’ve earned for the year! That’s like having a 13 month pay which we all know is a treat. Here’s the thing, aside from getting a 50% bonus every year on the amount of cash back that you’ve earned, you can also get a one-time $100 bonus for all new account openers. You can get your extra $100 after you’ve spend $500 using your card for the first 3 months of card opening. You can also enjoy a regular cash back of 1% on every purchase that you make. The good thing is, you can get your cash back at any time that you want it, however you want it. Capital One’s Cash Credit Card also offers a low APR – in fact, it offers a 0% APR up until December 2012. So if you open your card this January, you can use this card to transfer any balance you might have on an existing credit card without having to worry about growing interest. Transfer APR is also 0% until December 2012. After that, a variable rate of 14.9 -20.9% will apply. One more perk that the card offers is that consumers get to have a grace period of 25 days on purchases. So if you’ve spent more than you can afford on a particular month, you’re given an extra 25 days to come up with the money. The card also offers other benefits such as a $0 Fraud Liability if your card has been stolen or used without your authorization. You also get 24 hour travel assistance. As for those who love to shop big, the card has no pre-set spending limit, giving you the flexibility to make the purchases that you want. Capital One’s Card isn’t called a Cash Credit Card for nothing because it really offers more on your cash. With a welcome bonus, 0% introductory APRs, plus that 50% bonus cash back, your credit card life is sure to be looking up this 2012.